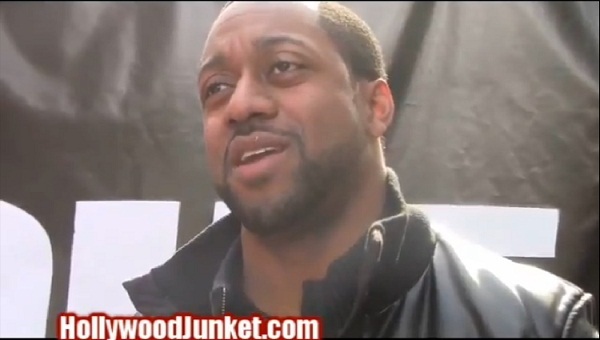 Jaleel White TOTAL BLACKOUT Host Tells Us What Scares Him! Syfy’s game show in complete darkness, “Total Blackout” returns Tuesday, January 15th. HOLLYWOOD JUNKET got a chance to catch up with the host Jaleel White at a special live version of the game played at The Grove outdoor mall in Los Angeles, Ca this weekend. Who Gets Scared More, Men or Women? 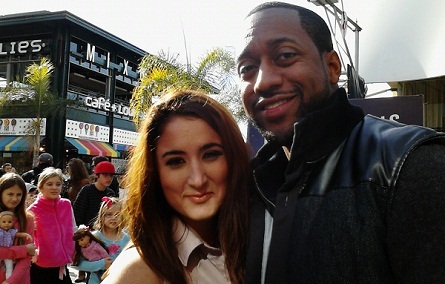 HOLLYWOOD JUNKET host Jaclyn Ashley with Jaleel White. What Freaks Jaleel White Out the Most? How to apply to be on TOTAL BLACKOUT! White finished his visit at the Syfy’s “Total Blackout” mock game cube by being a guest host of the event, then meeting and signing fan autographs and taking photos. Really interested in being on the show I am not scared of anything and would like to prove to my wife that I can do this please let me know how to be a part of the show! I would love to be on the tv show, as a track runner for nike and a Soldier in the us Army as a Infantryman, I would love to face my fears and compete on your show. Me and my wife would also love to be on the show so please email me on what do i need to do to be on your show. My sister and I would love to be on the show, PUT OUR HEAD IN A BOWL, DUMP US IN A TANK BECAUSE WE ARE IN IT TO WIN IT!!! I’m a huge fan, I absolutely love your show! My boyfriend and I (one hippie and one redneck) would be insanely perfect for this show! We have fears but rely on eachother and would GET ER DONE!!!!!!!!! I would love to be apart of this show, my boyfriend and I are both masculine and will be to take on these obstacles. BRING ON THE ZOO! My boyfriend and I are both masculine and we will be able to take on these obstacles. I never see gay couples on the show and would love to be the first. This show is awesome and me and my partner are up for the challenge. We want the money and we’re willing to fight these obstacles to get it. We’re great when it comes to working together and im sure we could get through anything! Bring on the Total Blackout!! !